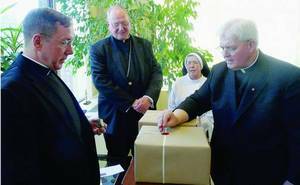 In 2016, the Order of Preachers, the Dominicans, will observe 800 years of being an approved form of life in the Church. The Dominican family of nuns, friars, sisters, and laity –indeed, the whole Church, can be grateful to God for the genius of Saint Dominic. 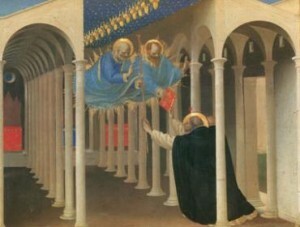 The image to the left expresses the Dominican charism as given by God through apostolic imitation of Saints Peter and Paul, and below, there is the narrative of the Order being under the mantle of Our Lady. Without these two bookends, the Order of Preachers is nothing. May we all follow this heavenly guidance. Antonio Ghislieri (1504-72) was born near Alexandria, a town in Lombardy on the Adriatic. 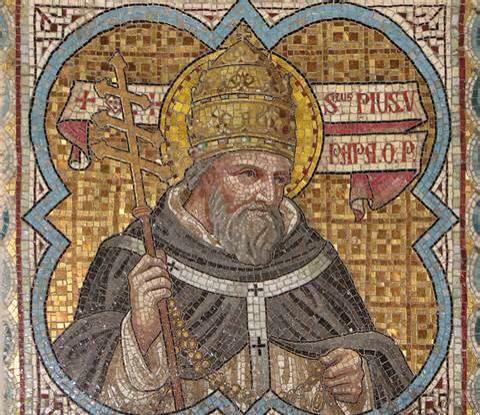 His vocation was with the Dominicans who educated him, had him ordained and missioned him to teach theology. He was elected bishop having served in several places where and he sought to reform the moral and theological, canonical and liturgical laxity of the clergy and laity alike; his concern was the coherence of the Catholic Faith. Sound familiar? Among his many responsibilities was taking up the work of Inquisitor in the Italian region. He was elected to the See of Rome in 1566. As Pope he strenuously promoted the Catholic Reformation outlined by the Council Fathers of Trent (doing of the same work as pope as he did as bishop), oversaw the excommunication of Queen Elizabeth I of England, encouraged missionary work and reformed the brieviary,the sacred Liturgy and the Catechism. 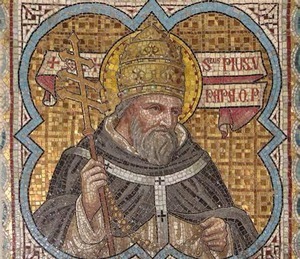 Some are criticizing Pope Francis for his desire for poverty but we ought to recall that Saint Pius V also sought to reduce the spending of the Papal Curia making it more akin to the lifestyle of the Dominicans of his time. Saint Pius V, Pope, pray for us. 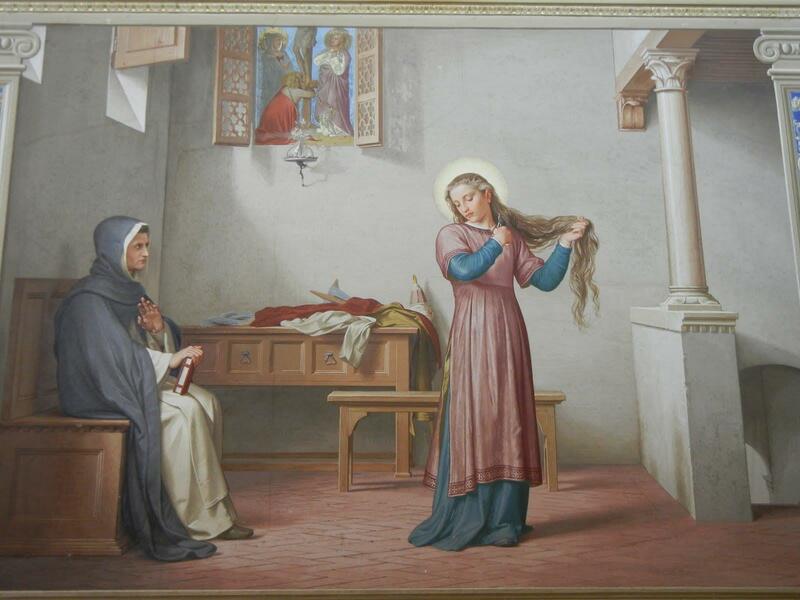 Saint Catherine cut her hair and put aside her elegant clothing as an act of modesty, to shun the worldly attention of potential suitors and devote her life to Christ. I want your security to be in Christ gentle Jesus. He has clothed us in the sturdiest garment there is, a garment of love….The very first garment we ever had was love, for it was only by love that we were created in God’s image and likeness. 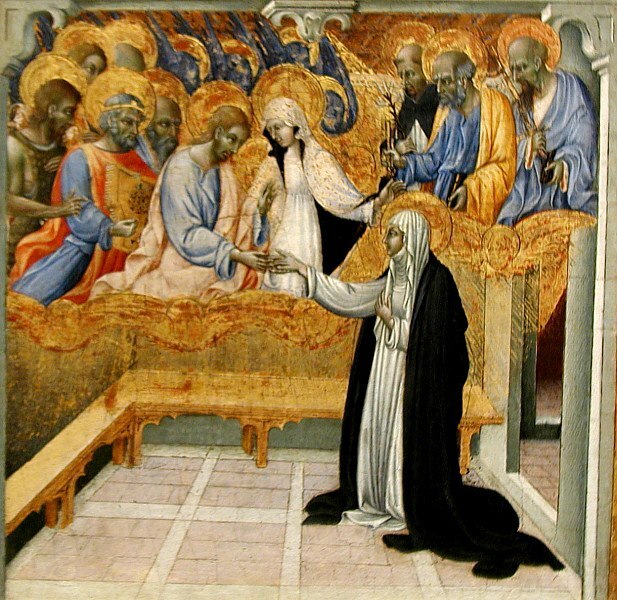 When I think of Saint Dominic I immediately think of Saint Catherine of Siena. She is an attractive and inviting personality, unique among many of the church’s holy ones. When in Rome you ought to visit her tomb at Santa Maria sopra Minerva. 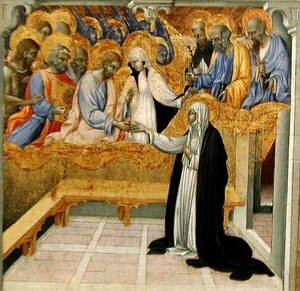 Among the Dominicans, Catherine was a Dominican Tertiary (a lay person who had permission to wear a distinctive garb). In 1970, the Servant of God Pope Paul VI honored her with the title “Doctor of the Church,” one of 4 women with the same title. With St Francis of Assisi, Catherine is a patron saint of Italy. Catherine is credited as one of the people to have ended the Western Schism. A brief video gives a good intro….